For different artists please enter name in search box above. Note: Downloading is only available to recognized media outlets. 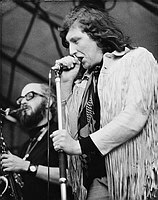 Chris Farlowe photos © Chris Walter. These photos may not be copied, linked to or published in any form without permission, including on websites. Home Events Artist List TV-Film Contact Archive FAQ Download FAQ Blogs Terms Personal Print FAQ Prints Mobile Chris Farlowe archive photos.